It was not the worst segment we’ve seen, not by a long shot. It was great to see that Rachael Ray spent the first fourteen minutes of her show on this important topic. 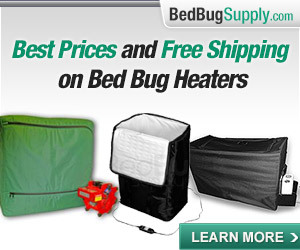 It is crucial that everyone learns about bed bugs, and I am glad to see the focus on them here. 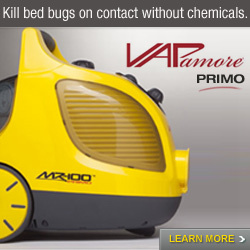 No doubt many people will know more about bed bugs because of this segment. 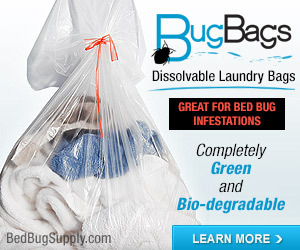 I was also glad to see the range of information provided – the emphasis on how bed bugs will hide in the smallest cracks, how they can live in your home (not just in your bed), and the detailed footage of Nathalie’s bed bug prep (including 15 loads of laundry being dried on hot by each of the two bedbugged roommates). Nathalie also drives home the point that a bed bug experience is expensive (she estimated $1000 for materials and treatment). and make individuals listless and almost constantly uncomfortable. PDF download: The Public Health Significance of Urban Pests, 2008: 138-139. 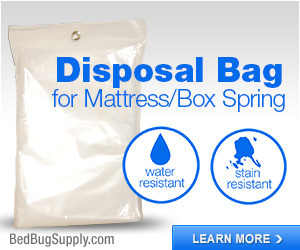 Bed bugs are not currently known to spread infectious diseases. 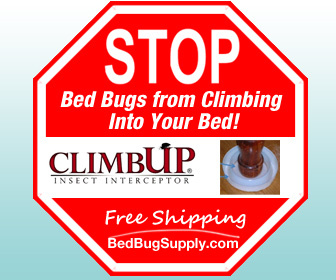 But bed bugs can lead to health problems ranging from the very common itchy skin rashes, anxiety and lack of sleep, to (in rare cases) anaphylaxis, a life-threatening reaction. 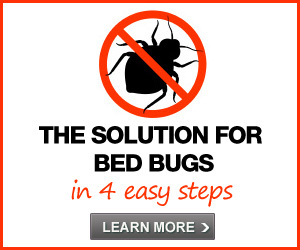 Bed bugs won’t go away on their own, but if you catch them early you can avoid an infestation. I don’t agree that people should start by self-treating in most cases, and I don’t think people should be encouraged to rush out and apply sprays and dusts; if someone is going to do their own bed bug treatment, they need to research the methodoloy and health precautions. People commonly misapply the dust diatomaceous earth, a potentially useful tool which can be a health risk if inhaled into your lungs and which may not be effective at killing bed bugs if misapplied. And on the question of “catching the infestation early,” let’s face it — most people with bed bugs think they have a small infestation and that they caught it early. We hear from people who assume this because they have not seen bed bugs, or have seen only one or a few, even we know though you can have a good number of bed bugs before ever seeing one or a few. 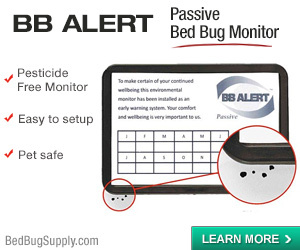 Other people may assume they have not been bitten or just started being bitten by bed bugs. 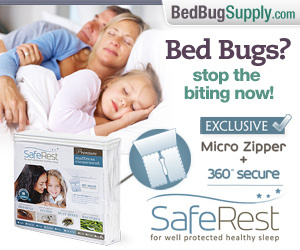 I so wish Dr. Ian Smith had pointed out that many people do not react at all to bed bug bites. You can be bitten quite a lot without ever reacting, and we have heard other people go on being bitten for a while with no reaction, before eventually reacting quite a bit (in some cases, seemingly reacting all-at-once to multiple bites). In other words, many people are in a poor position to judge how small or new their infestation is. And it’s a common story for people claiming small, early infestations to need multiple careful treatments from a professional who knows how to get rid of bed bugs, before the problem is finally gone. The Rachel Ray show did show a sample of live bed bugs, and noted the difference between “babies” and adults. Not a perfect explanation of the life stages, but better than most media reports, which only show an adult bed bug. Unfortunately, Dr. Ian Smith said bed bugs were “brown-black” and “about the the size of a pencil eraser,” which may throw off many people, before he later showed some younger, smaller nymphs. Much more should be done by those in the media to demonstrate the relative life stages of bed bugs, and the appearance of the smallest first instar nymphs before and after feeding. Lou Sorkin’s photos of bed bug life stages, including the comparative photos of fed and unfed nymphs shown on our Bed Bug Photos page,) are a great place to start. 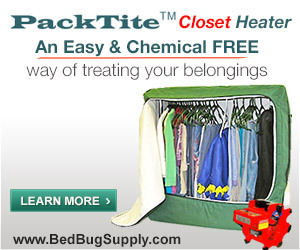 First, it sounds like the EPA runs the Bed Bug Registry, which of course, it doesn’t. Secondly, it implies that if “there’s an issue in your city,” you can find out on the registry. 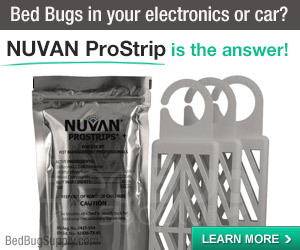 That’s not necessarily true, and this is an important point – we have heard people who were surprised to have bed bugs in a new home or hotel because it had received no listing on the Bed Bug Registry. 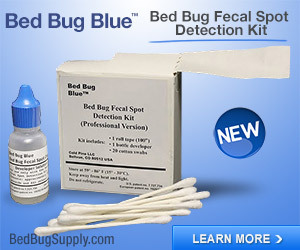 In fact, you will only see bed bug reports for your city, town, hotel, or building if someone reported them there; registry users are a self-selecting group, and though the site continues to grow and thrive, most people probably do not know it exists, or don’t add their listings for other reasons. Another annoyance: when the show displayed an image of a heavily-stained mattress (far and away the most bed bug feces I’ve seen on a mattress, ever), Dr. Ian Smith said, “now that’s an infestation,” as if a much less serious case of bed bugs was not “an infestation.” Smith is right that it is an obvious case of neglect, where someone really is not paying attention, but I don’t agree the term “bed bug infestation” should only be applied in the most severe cases. If the term “infestation” is to be so-used, then give us a new word for a bed bug issue (which may be as small as one bed bug, ten, or fifty). Some suggestions in this comment thread, where we deal with the “infestation” terminology. 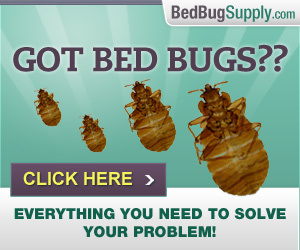 And did you play bed bug bingo as you watched, like some forum participants? 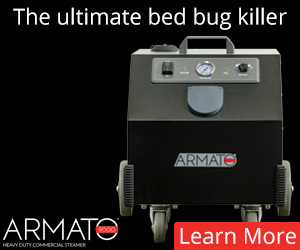 But I can’t help wishing that the news media would take more advantage of bed bug experts, including the more relevant “doctors,” — Dr. Michael Potter, Dr. Louis Sorkin, Dr. Jody Gangloff-Kaufmann, and others — entomologists who study bed bugs and who are much more qualified to help the public understand the key issues surrounding bed bugs. We knew Nathalie worked for M&M. However, you may have seen her face before; she did a series of youtube videos for M&M about various pest control issues, including bed bugs, some of which are included in this forum post. nicely said! !You go !! wish she would do A more involved segment!! too bad she didn’t cook um!! Still love her recipes!! 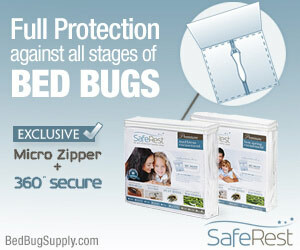 Bed bug segments are all about the information provided and who you get it from. It could be improved. I am still glad they did it (and for so long)! I am really glad someone as big a RR can get this out there! !I bet a lot a people went home or back to hotel and checked without even finishing to show I know I would of!! Do shows not get involved in BB!! Well I guess not, since I really didn’t know about them till I got them! !So DO I get the Packtite!! LOL NO DE PLEASE!! i went back over you post and realized you said ” bronchial asthma” OOOOMMMMGGG this is why I was so cautious about the Ortho MY daughter has this!! Can you get me more info on this seeing as how you can very easily!! I would like to present it to her DR And find out if the BB could possibly be the reason! Two things that also were not quite right….the woman who was cleaning her home and getting it ready for treatment mentioned that just TWELVE minutes in the dryer would kill the bugs. I have read from various sources, including this sight that to guarantee death one must dry for at least forty minutes. Also Dr. Smith mentioned that bed bugs can not go longer than two months without feeding. We all all know this is not true. They can live up to eighteen months…I wish he had mentioned that. The sources you’re thinking of may be referring to drying wet items. 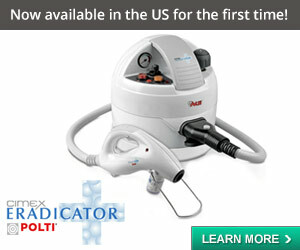 Read the FAQ on “extreme temperatures” being used to kill bed bugs in clothing and other stuff. It contains the information from Dr. Michael Potter regarding 5 minutes in a hot dryer being enough to kill bed bugs in an already dry sock. An item that starts out wet takes MUCH longer. 40 minutes would not be enough if the dryer in question does not dry everything completely in that time. However, as ruthven78 notes, a thicker item would take longer than a sock, even if it is already dry. 40 minutes might not be enough for an already dry comforter or a pillow. It would depend on the dryer and on the item itself. The people on Rachel Ray seemed to have been drying already dry clothing, and for this 12 minutes is likely enough. As I said in the FAQ linked just now, some people might do 20 minutes and that’s fine too. But 40 minutes for already dry items may be overkill unless they are unusually thick. Wow, that is a lot of misinformation in one segment. Still, I think they got out a lot of important information. That said, I also was concerned with RR’s reaction when Dr Smith was discussing the mattress encasement. He did say that it would keep bugs in the mattress, but would not keep them out of the home. Later, RR said something like “so it’s as simple as that,” and he reiterated that it would only kill the bugs inside the mattress. Right at the end of the segment, while discussing how to prevent an infestation, RR said again about the encasement, “So it’s as simple as that,” and Dr Smith said yes. If anyone had not seen the whole segment or was not listening carefully, they might think putting an encasement on their mattress would fix or prevent an infestation. I think Rachael Ray was so squeamish about the whole thing that she just wanted to hear some kind of reassurance that there was something she could do to not have it happen to her.